A.1. 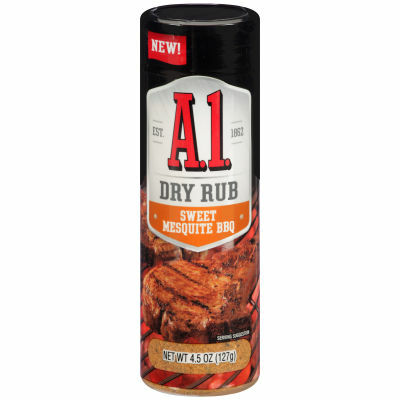 Original Sweet Hickory Dry Rub is a delectably tempting blend of premium quality ingredients such as, tomatoes, onions, ancho peppers, garlic, paprika, chipotle chili pepper and apple cider vinegar all dried up. These ingredients simmered & blended to a tasteful sauce; tantalize your taste buds with the tangy, zesty, a little sweet & little spicy lip smacking flavors.Rub it all over your meat loaf and let it do its magic! If you want the flavors to penetrate deep, leave it overnight in the refrigerator and grill the next day. You'll love your meat to the last bit!